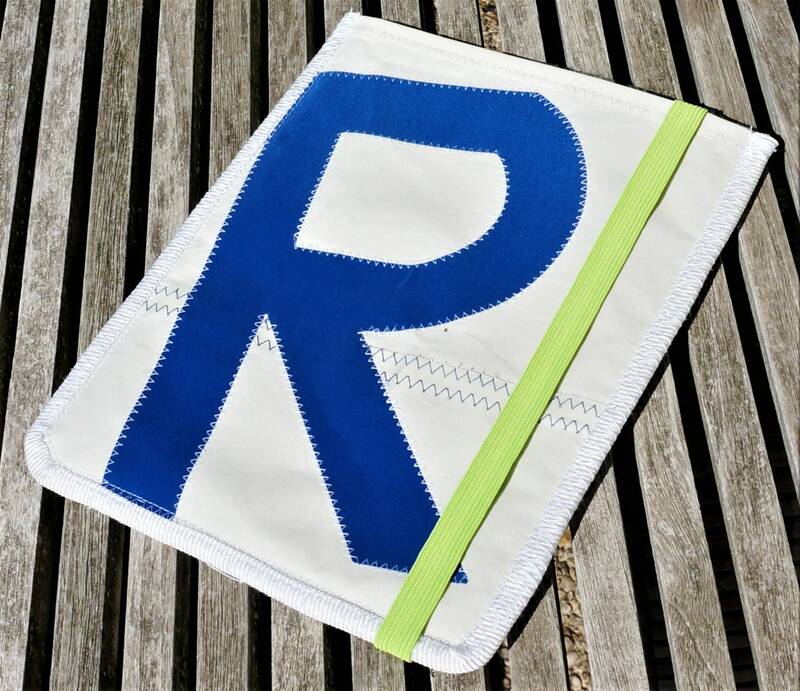 Original sail as a sleeve for the tablet. 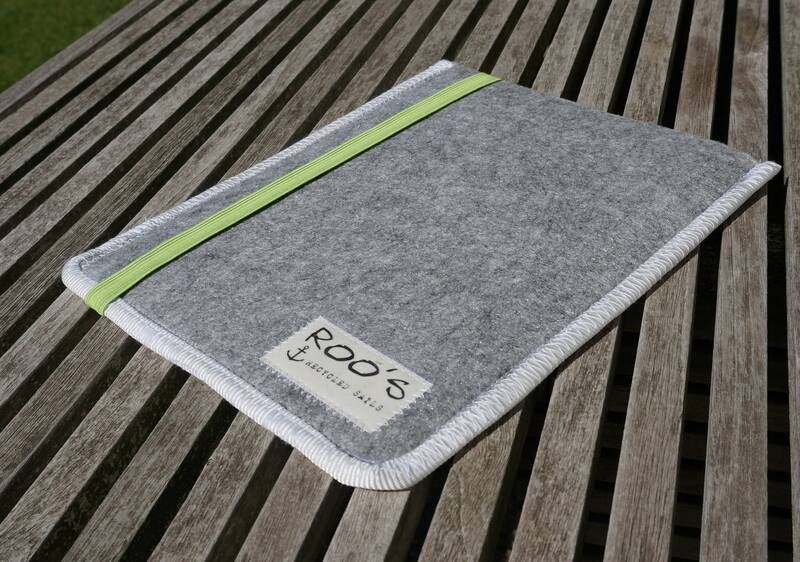 A seve made of sail & felt protects the iPad from dust and scratches on the go. 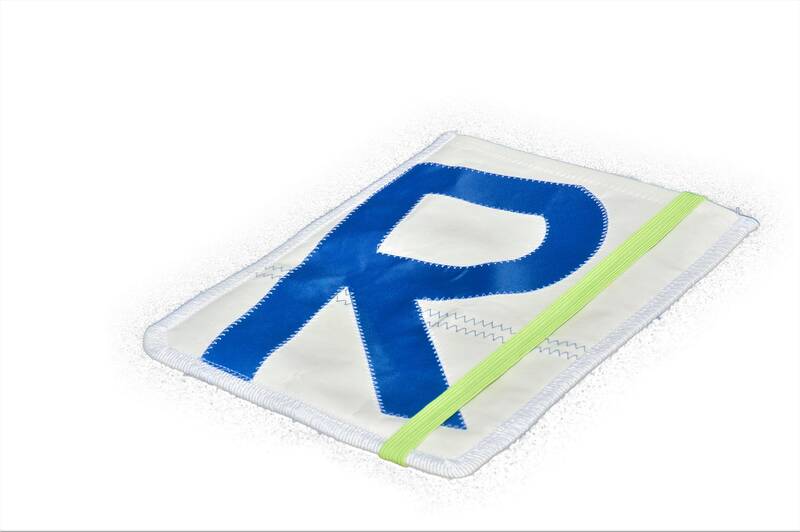 The tablet is simply pushed into the shell. 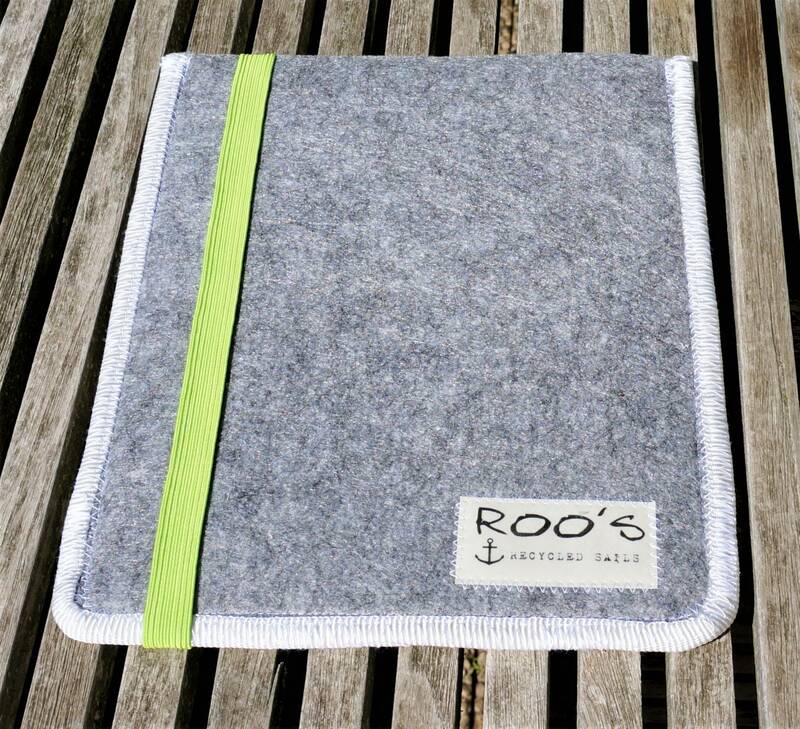 The 1.5cm-wide green rubber is not only a great optical contrast, it also ensures that the iPad sits securely in the shell. 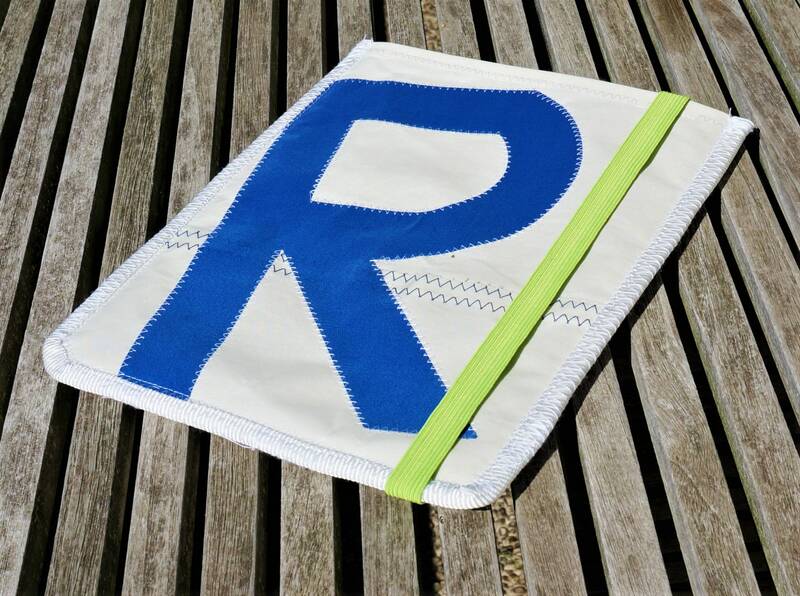 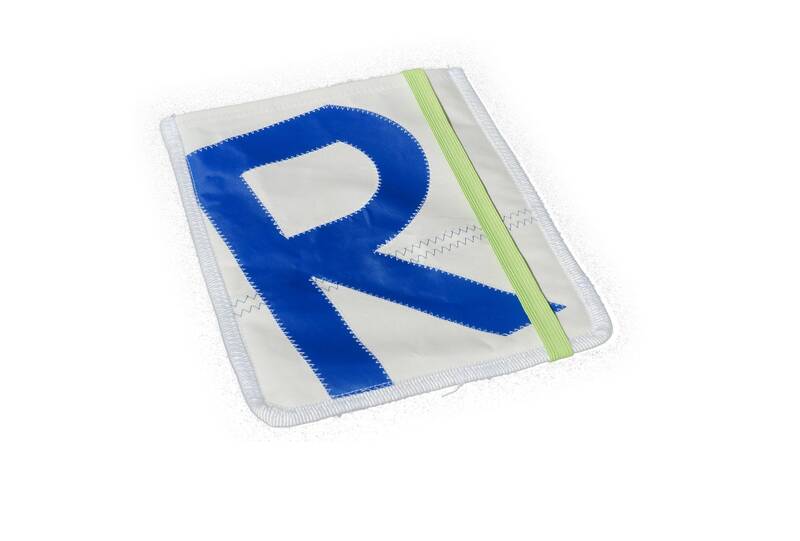 The eye-catching application is the sailing letter "R" in blue, it is quilted with the typical zigzag stitch. 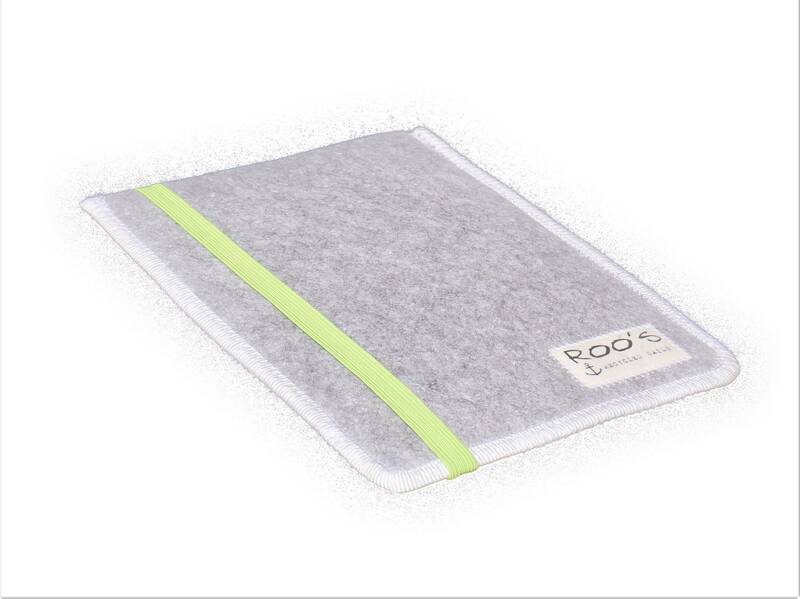 Inside, the front is lined with a soft cotton sweatshirt fabric that doubles as a soft interior pad.